Running consistently or as a focal sport isn’t for everyone but the benefits of going on a run can give you unparalleled benefits across a huge range of sports. Running is the ultimate form of cardiovascular exercise due to its accessibility, low-cost, and the many health benefits that it brings. As shown by Women’s Running UK, running keeps your joints healthy, creates stronger muscles, and improves bone density. These are all benefits that can help your body be better at tackling the demands of any athletic sport, but there are additional reasons in one of the UK’s biggest sports, boxing. Even if you don’t engage in a competitive bout and simply want the health and fitness benefits of training like a boxer, running should become a key element of your routine. It should go without saying that what you eat is integral to your active life but some people forget about the major benefits that they can get from eating the right food. While exercise is more important to losing weight than dieting is, diet plays a crucial part in getting fitter. Food is your body’s fuel, which it cannot operate without, and, equally, your body can’t reach its maximum potential without the right fuel. To get those additional perks from your exercise to ensure that your body is the best that it can be, you should consider what you eat and when you eat. If your body has the right fuel, it can recover quicker, improve from exercise more efficiently, and give you more energy when competing in your chosen sport. Overall, a balanced diet plan is the best way to start, adjusting it as you do more or less demanding exercise. With a focus on boxing, recovery and muscle growth is very important to get into shape and continue to meet the demands required by practising the sport. So, people who want to improve at boxing or take on the sport will want to apply a bit more protein to their diet, around 1.4g to 1.8g per kilogram of body weight per day, with the recovery protein bowl being a good example of meeting this demand. To outsiders, boxing is merely a sport of two people standing in a square ‘ring’ throwing punches at each other for a few minutes, before a short break and doing the same again. In boxing, having a powerful or fast punch can only get you so far. As explained by The Guardian, boxing is the purest contest. In the ring, a participant’s only tools are their arms and gloves, for both the offensive and defensive sides. Not only is throwing punches tiring – especially if the attempts miss – but it’s also very physically draining to take a hit, even if it’s blocked by your arms or gloves. As the only routes to victory are either to impress with boxing skill across as many as 12 three-minute rounds or to incapacitate the opposition to the point where the referee stops the contest, boxers have to be prepared for both possibilities. This means that they need very good engines, which is why all of the greatest boxers of all time have employed roadwork as a core part of their training regime. Roadwork is just a term used by boxers for running outdoors – often along the road, as the term would indicate – which is often done over three miles or more. It worked for boxers in the past and, while some of the new sportspeople will spend some time on exercise bikes as well, roadwork is still an integral part of the modern boxer’s regime. After a stunning 2018 for the sport and an incredible start to 2019, more people in the UK will be looking to get into the sport. In boxing, being super fit won’t always bring you out on top but being fit enough to box for 12 rounds helps to separate boxers of equal skill. In most divisions, boxers will aim to keep fit all year round to make weight, with contender Chris Eubank Jr being an example of this. 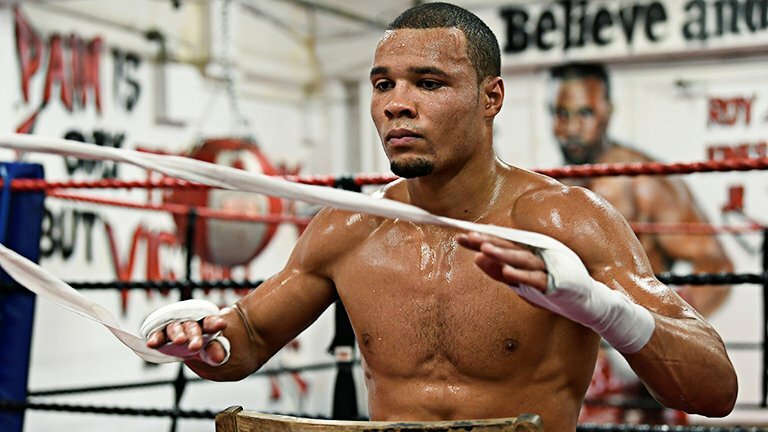 In 2018, Eubank Jr told CNN that he does sprints on the tracks and seven-mile runs along the pebbled Brighton beach to maintain his staying power in the ring. With his skill and consistently high-levels of fitness – which have enabled him to go the distance nine times in his 27-fight career and never lose by knockout – the son of the legendary British boxer is at 4/6 to beat his British rival James DeGale with Betway, as of the 30th of January. But, it’s not just the lower-weight boxers who need to keep fit. Despite some heavyweight boxers making weight via body fat rather than muscle, there’s a clear distinction between the top-quality boxers and the contenders, especially when you look at their fitness. As detailed to The Telegraph, unified world champion Anthony Joshua, who is 22-0-0, owns three of the four major world titles, and has fought 84 rounds of professional boxing, sees running as a crucial part of his training. The heavyweight champ does a lot of roadwork, as YouTube will show you, but, when he’s in training camp, he changes the conditions to imitate that of a competitive fight by doing 900-metre runs in three minutes, having a one-minute rest, and then going again. Even if you’re the biggest, most clinical boxer in the world, running will give you the physical edge needed to separate you from the rest in the boxing ring. With enhanced stamina and athleticism, a fit boxer can do much more than a lazy boxer.